Anglesey Abbey will give the prospective student a great grounding in many aspects of horticulture and the experience of working in a busy environment with a large number of visitors each year. The House and garden were bought in 1926 by Lord Fairhaven and his brother Henry Broughton. When Henry Broughton married, he moved away, leaving Lord Fairhaven to develop what had been a modest house into a larger place with room to entertain guests and build a collection of fine paintings and furniture. The garden itself was also developed from a five acre site close to the house to what is now approximately 120 acres with a wide range of different gardening experiences. These range from the intricacies of the Formal Garden, close planted with Hyacinths for spring and Dahlias for summer, to the sweeping lines of the Herbaceous Border, at its height for June and July and the Dahlia Border for the autumn plus the extremely important Winter Garden. With large areas of lawn containing island beds, long vistas revealing statues as focal points, straight hedges, wildflower meadows and a wildlife discovery area, all contained within a wooded shelter belt and surrounded by the flat lands of the Fens. 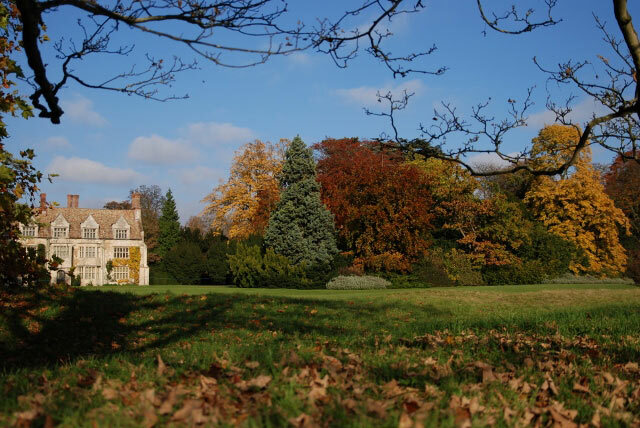 Anglesey Abbey is truly a garden for all seasons.